Short, long, single or multi-day, self-sufficient… they’re popping up everywhere and there’re loads to choose from. Every one of them is challenging – some more than others – and they’re all fun in one way or another. For most of us, as long as it’s trail we’re running, we’re happy. And then there’re the special ones, the unique events that take us to another place not only geographically and physically, but emotionally and spiritually, the races we find difficult to describe to friends and loved ones back home who haven’t experienced them. The events that for their duration, and for weeks afterwards, have us yearning to be back there, despite the blisters, the sore muscles, the pain, the gruelling dark moments we may have felt. 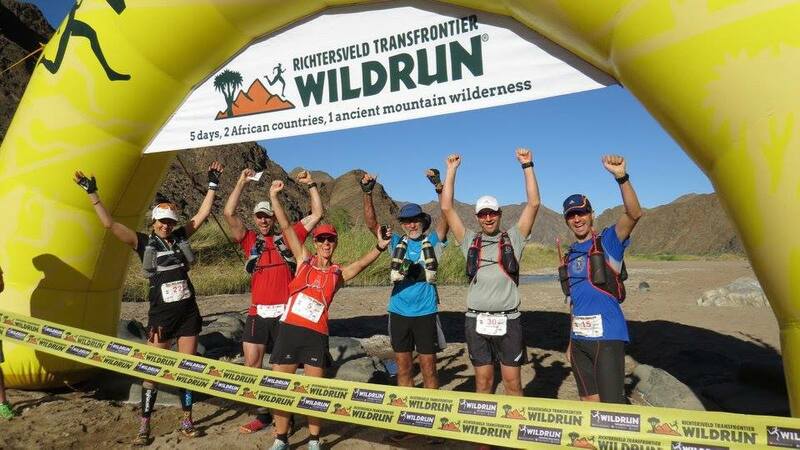 The Richtersveld Transfrontier Wildrun® is that race. The event is rare on so many levels: it allows a limited field (max 80 runners), it’s set in a remote wilderness that’s far from anywhere and only accessible by 4×4 or on foot, and it’s staged in two countries. It’s no ordinary race, far from it. And as such, it attracts the more intrepid runner, the one with an adventurous spirit, the one who wants to experience their passion for trail running on a deeper level – a level witnessed only by the vast, rugged, raw richness of an African rock desert and a night sky so studded with stars it makes the heart sore. “Gruelling in comfort” is how one UK runner described it. 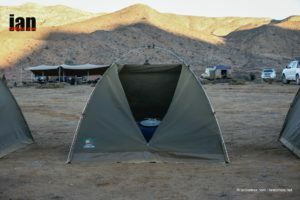 The Richtersveld Transfrontier Wildrun® blends the right amount of trail challenge with the rustic luxuries of a fully-equipped outdoor camp. But I think it does this event no justice to refer to it as simply a ‘race’. It’s far more than that. So for the purpose of this blog, I’ll separate the race from what I believe makes it far bigger than just that – what I’ll refer to as The Real Deal. Mix a sprinkling of elites with a few dark horses and you have the ingredients for a pace-pushing race. First out the starting block on Day 1 was local Sendlingsdrif speedster Dawid Kaswarie, who blasted off like he was fleeing a Namib flash flood. Unfortunately for Dawid, his local knowledge of the area worked against him – his navigational strength didn’t match his running talent, and he took a straight line directly to the aid station, missing the compulsory checkpoint along the way. This cost him a 60 min penalty, which he spent the next four days desperately trying to claw back, but in vain. Irish-born New Zealand adventure racer Jo Williams was consistently strong over every stage, and secured herself a convincing win of the overall race. Ultra-endurance athlete and ultra-journo-extraordinaire Tobias Mews (tobiasmews.com) won the men’s category, just 19 mins behind Jo. In the true spirit of trail sportsmanship, Tobias volunteered his winner’s trophy to Dawid, who he said ran a race that deserved the win. Huge thumbs up, Tobias! In the women’s race, with Jo clearly out of our league, the competition for 2nd place was between Swedish-born UK runner Elisabet Barnes (1st in Marathon des Sables 2015, 2nd in the Costa Rica Coastal Challenge 2016), and me. 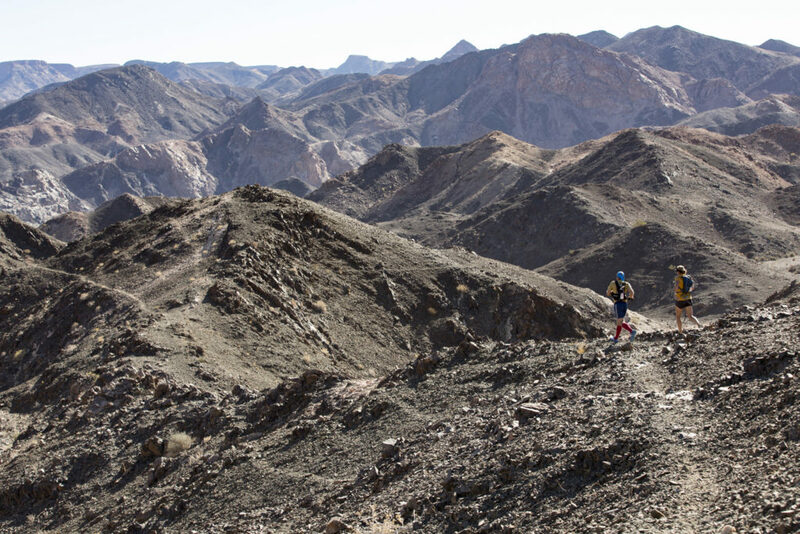 Torn between running the Richtersveld as an experience and treating it as a race, I opted to hedge my bets and try to do both – I ran the first day fairly hard to try to create sufficient gap to be able to take the remaining days easier so I could appreciate the scenery. Thankfully the plan worked! The terrain was more in my favour than in Elisabet’s – her strength is in running open, sandy stretches FAST while I’m better at more technical underfoot. Happily for me the route was riddled with stony river beds, rocky gorges and craggy descents – so typical of Richtersveld terrain. I was in my element. I finished 2nd lady, in 5th place overall, almost 90 mins ahead of Elisabet. Even the race winners felt more exhilarated by the richness of the Richtersveld experience than by the racing element of the event. Their success was hard-earned, sure, but in those five days the wealth earned by every participant, every Wildrunner crew member, helper and volunteer far exceeded the importance of anyone’s race position. Over five days in the raw, rugged wilderness that is the Richtersveld, 45 runners experienced a richness beyond all expectation. * 200km. 5 days. 2 countries. At quick glance the /Ai-/Ais/Richtersveld Transfrontier National Park looks barren, desolate and devoid of life. Water in the region is scarce, the heat relentless. But surely it’s no coincidence the name begins with “Rich” – beneath its stark appearance lies a botanically rich landscape that boasts the most abundant selection of desert flora on earth. 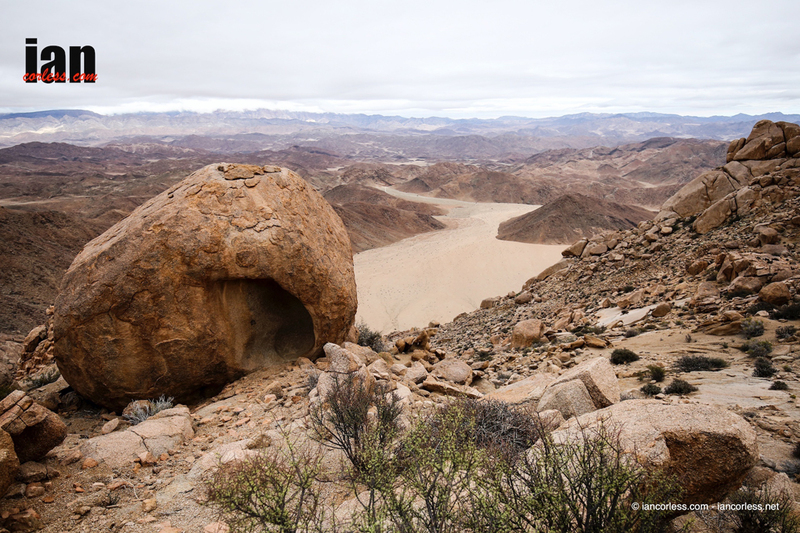 Jointly managed by the local Nama people and South African National Parks, the Richtersveld is harsh, dry (some parts of the park can have no rainfall for up to 10 years) and virtually uninhabited. But it’s also believed to be one of the world’s richest succulent areas, with a host of its plants, reptiles and insects not found anywhere else on the planet. Roaming freely in its vast inner sanctum can be found porcupines, caracal, leopard, brown hyena, black-backed jackal, bat-eared fox, genet, ostrich, Hartmann’s mountain zebra, rhebok, klipspringer, springbok, duiker, steenbok, and the beautiful wild horses of the Fish River Canyon. At R21,250 (2016 cost), the price tag for the Richtersveld Transfrontier Wildrun® may seem heavy. At face value, South African trail runners might well compare it to other local multi-stage races and baulk. But the reality is that there can be no comparison. Not only is there no other five-day stage trail running race in South Africa, but this event is less about the race and more about the experience: it’s set in an African desert wilderness that is accessible only via 4×4 and by foot. It deals with cross-border logistics into Namibia, and it teases the lower reaches of the great Fish River Canyon in a section where, until this event, only local Nama herdsmen and a handful of rangers had ever ventured. All this, and yet the offering is seamlessly organised, tailored by bush luxury – three superb meals a day, individual sleeping tents complete with mattress and pillow, massage options, flush toilets and hot donkey-style showers every evening. Through tired legs, aching muscles, twisted ankles and whingeing hamstrings, nothing quite matches the spirit between runners and crew on the final night of a fully-lived five days in a remote region. Somehow after that, returning to civilisation isn’t so easy. So the price tag may appear hefty, but when you look at what you get for your money, it’s worth every cent. And of course, the reality is that for those runners on faraway shores who’re hungry for superbly organised trail runs with a different flavour, it’s even better value. 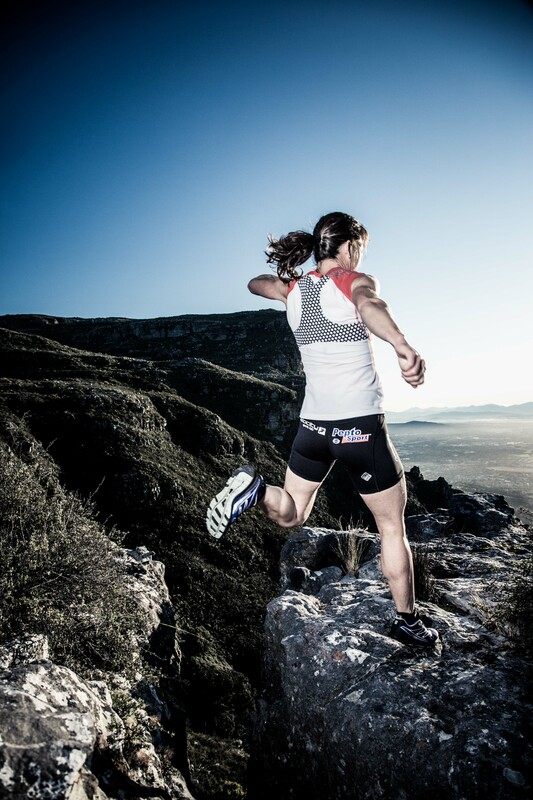 The Richtersveld Transfrontier Wildrun® is a race, a challenge, and a rich African experience, all in one.